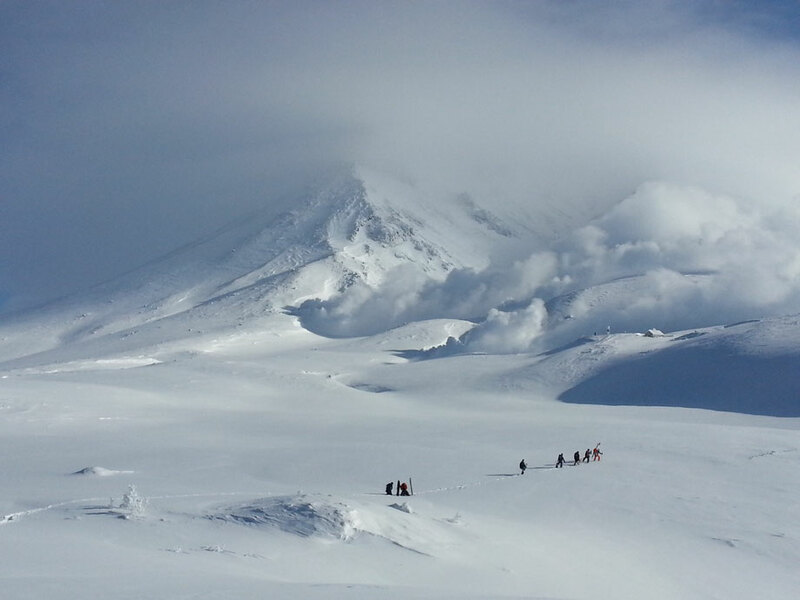 Nowhere is more pronounced than the seasonal shifts at Asahidake and those who come to experience it. In Autumn, the alpine foliage turns a combination of bright orange and reds and the tram is filled with a mix of people, who have all come to see its autumnal grandeur, from high heeled ladies to seasoned hikers. As the colors descend in to the valley, there are occasional flurries in the alpine that precede the full blown snow storms that seem to swallow the landscape, turning everything in to a white hue. It heralds the arrival of expert skiers from all around the world and the start of the powder season. 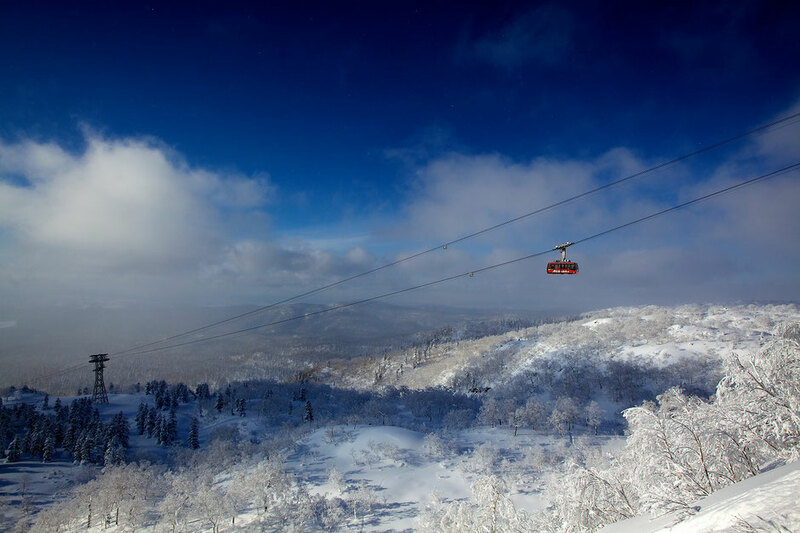 It is one of the smaller ski areas in Hokkaido. I call it a ‘ski area’ as it doesn’t have the safety and conveniences of a regular resort. First, it is unpatrolled and grooming is limited to two cat tracks which snake down the short 500 meters of vertical. Hotels can be found at the bottom. The apre-ski is the hotel hot spring and there is no night life. There are two types of weather conditions at Asahidake, clear or stormy. When it is clear, you can see the magnificence of the volcano, surrounded by multiple smoking fumaroles. 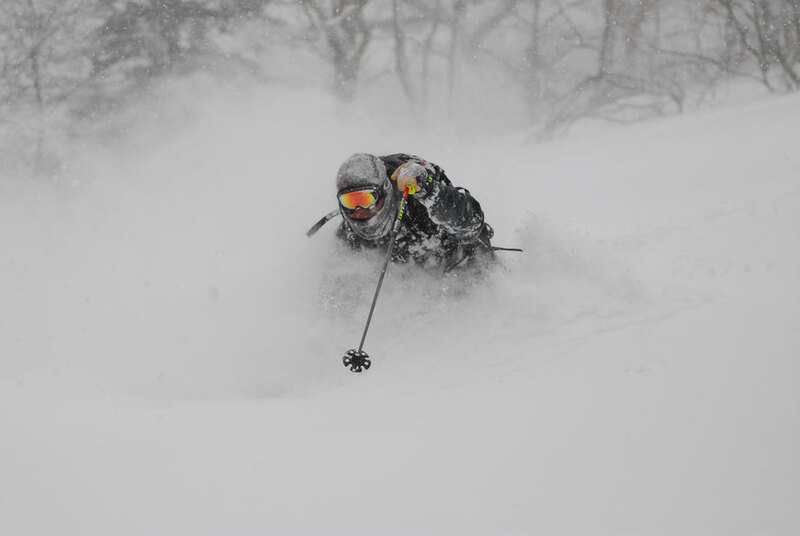 Although, frequent precipitation means that there is a greater likelihood of skiing Asahidake during a storm, when visibility is minimal. Certainly my more memorable days have been under these conditions. On a deep day, you can’t see from the face-shots anyway. Visibility is overrated. right from the tram. 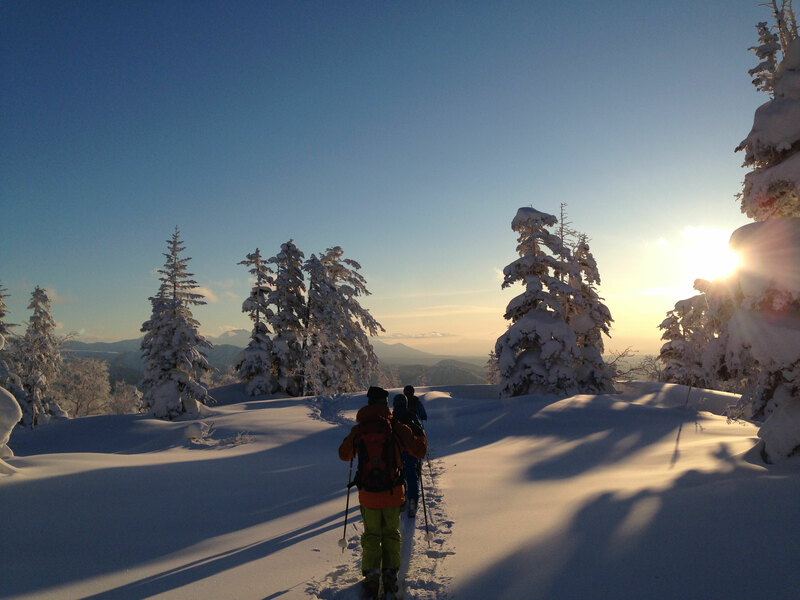 A typical run will involve a boot-pack, then ski, and then a traverse back to the cat track. Prepare to work for some of your turns. sections. Fall in one of these areas at your own peril, as a walk out from the waist deep snow can leave you wet from perspiration. The terrain isn’t exactly snowboard friendly, but the locals do bring long powder boards to mitigate the flat sections. It’s not an uncommon site to see a 160 cm Japanese guy dwarfed by his 180 cm powder board, and a 180 cm western guy with a short 160 cm board standing next to each other. 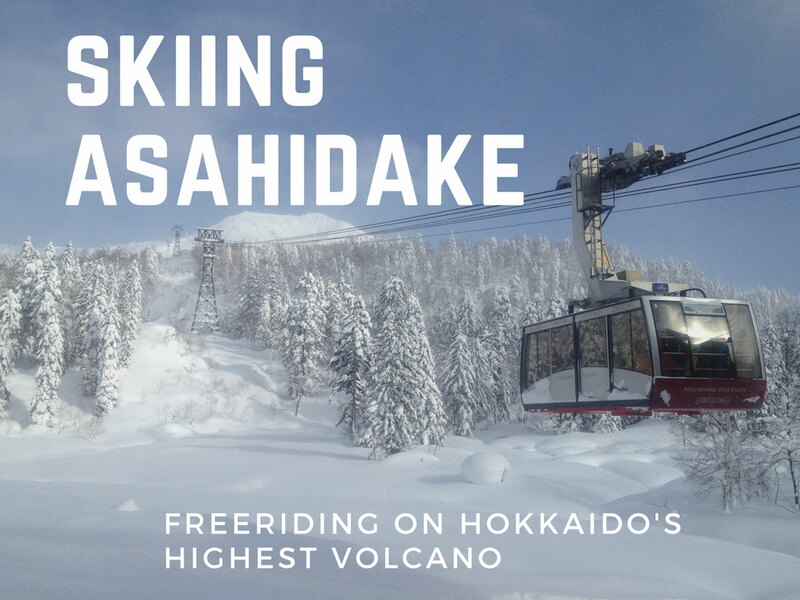 So what it is about Asahidake? With limited terrain and exposure to harsh weather conditions, why do people come here from all over the world? Without doubt, it is the snow. 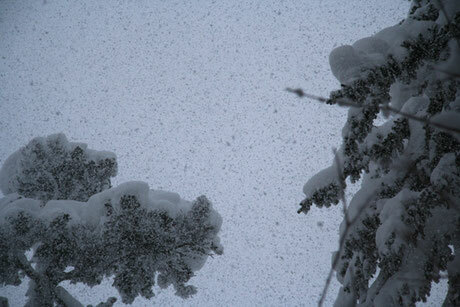 When conditions are at their best, it is some of the deepest and lightest powder you will ever experience. And for me personally, I have had some of my best ski days of my life there. 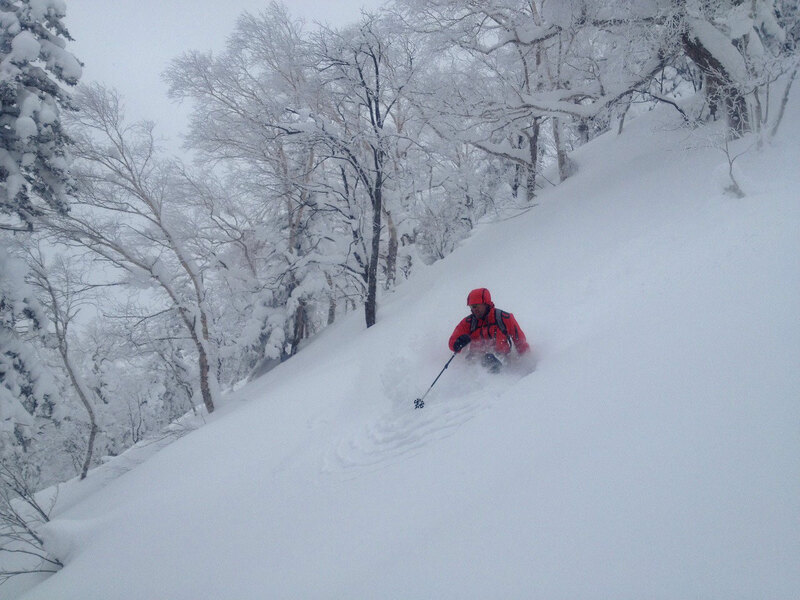 Looking to book some guided touring days based out of furano in feb 9-12. Asahidake and Tickachidake sound insane! Group of 2 or 4, all experienced in terrain and weather (from alaska), 2 boarders, 2 skiiers. Could you provide quotes for day tours and package deals please? Looking fir a ski guide fir Tuesday for 2 people. One skier one boarder, both advanced. What are the costs and availability ? Hi -- I'm looking for someone to guide 2 people on 2/18 and 2/19.